In 1967 and 1968, Ice were a much–touted but slightly mysterious recording band, constantly on the radio (including the famous John Peel show with Jimi Hendrix and Traffic), but seldom seen on television and never live. ‘Walk On the Water’ was the controversial track (disguised as ‘Walk Under Water’ for Radio One purposes) that was intended to be their second single and was eventually sidelined in favour of ‘Ice Man’. RECORD COLLECTOR lists their two singles ‘Anniversary (Of Love)’ from 1967 and ‘Ice Man’ from 1968 in their Rare Record Guide and apart from the singles and their ‘b’ sides all of the tracks featured on this CD have never before been released. 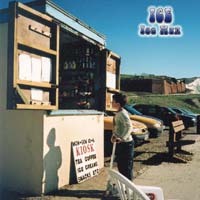 This CD represents the group’s entire recorded output of the cult 60’s rock group ICE. ...whilst there are hints of the later jazz-rock of Affinity, the core tracks are more pure sixties psychedelic pop. It's fairly evocative, if hardly mind-blowing fare, but it does complete the jigsaw. One suspects that there were a few Association and Fifth Dimension albums lying round the Dansette at Uni. So comprehensive is this musical nugget-mining, one wonders where to next, early-fifties recordings of Naiff in pram with a plastic xylophone? Bring it on! ...The 19-track collection, restored from vinyl, acetate and tapes, takes in a small amount of material from pre-Ice days, as well as BBC sessions that include a live version of 'Ice Man'. Ice Man certainly ranks among the most thrilling exhumations so far. Angel Air have done a definitive job and it seems unlikely that anyone will ever supercede this release - or wish to. Given that both of their singles fetch reasonable sums...there will be quite a few collectors that would like this, and it is a nice collection of songs. This 19 song disc leads with those four songs, including the title track; sprinkled with swirling organ bursts, clever guitar figures, and choir-inspired vocal harmonies, the style exemplifies the psychedelic pop of the period. The compilation adds an unissued single: The driving R&B number "Walk On Water" contrasts with the Zombies-style ballad "Time's Fading Fast." The second half of the disc showcases the songwriting collaboration between session guitarist Kris Johnson and lyricist/manager Chris Simpson. Unlike the full-band recordings, these demos find singer Glyn James primarily accompanied by guitar, bass, and backing vocals. This allows James to project a more reflective mood on songs that foreshadow the singer-songwriter era. Ice Man closes with three Simpson-Johnson compositions performed at Sussex University by Russell's Clump, a group connected to the Ice family tree. Glyn James' liner notes give context to this delightfully obscure bit of British music.